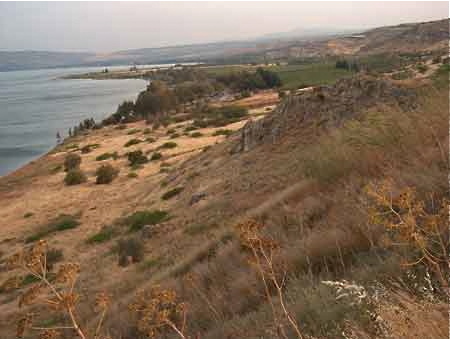 A headlong stampede by a herd of demon-possessed pigs into the Sea of Galilee is remembered at Kursi, a picturesque site beneath the Golan Heights on the eastern side of the lake. The dismayed swineherds run off to spread the news, and the local people ask Jesus to leave their neighbourhood. The healed man begs to go with Jesus — but Jesus tells him to go home and tell his friends what has happened. “And he went away and began to proclaim in the Decapolis how much Jesus had done for him; and everyone was amazed” (Mark 5:20). So this gentile man becomes the first person commissioned by Jesus to spread the Good News to non-Jews. 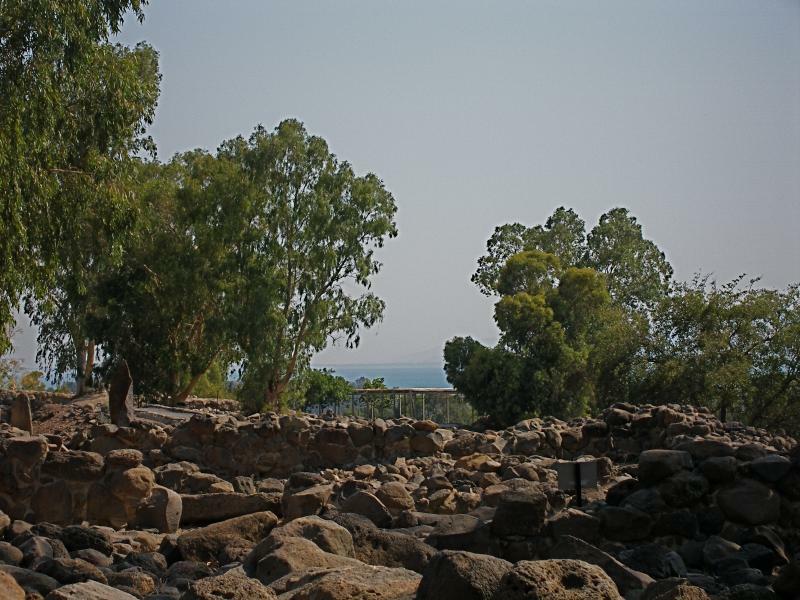 Kursi was an important place of Christian pilgrimage from the 5th century, when the lakeside towns of Capernaum, Bethsaida and Chorazin — all three condemned by Jesus for their lack of faith — had fallen into decline. 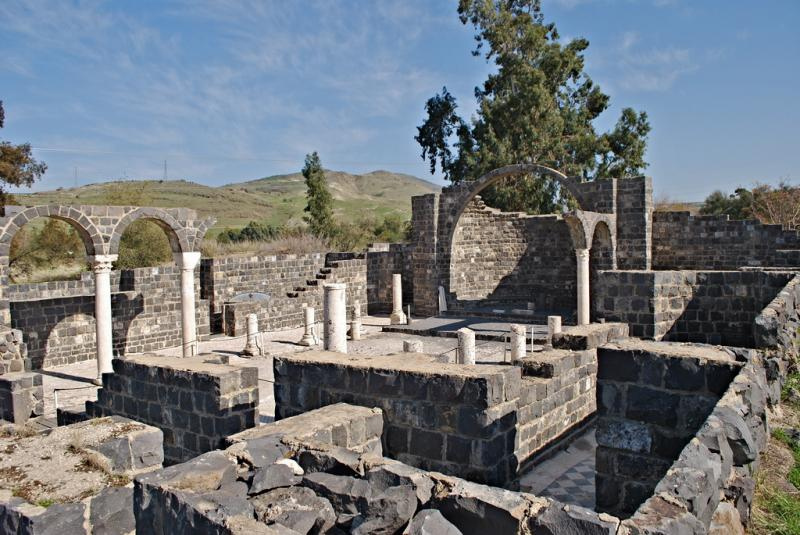 Kursi is the site of the largest known Byzantine monastery complex in Israel, whose impressive remains have been partly reconstructed. On the side of the hill behind the monastery are the remains of an earlier chapel, built into a cave. 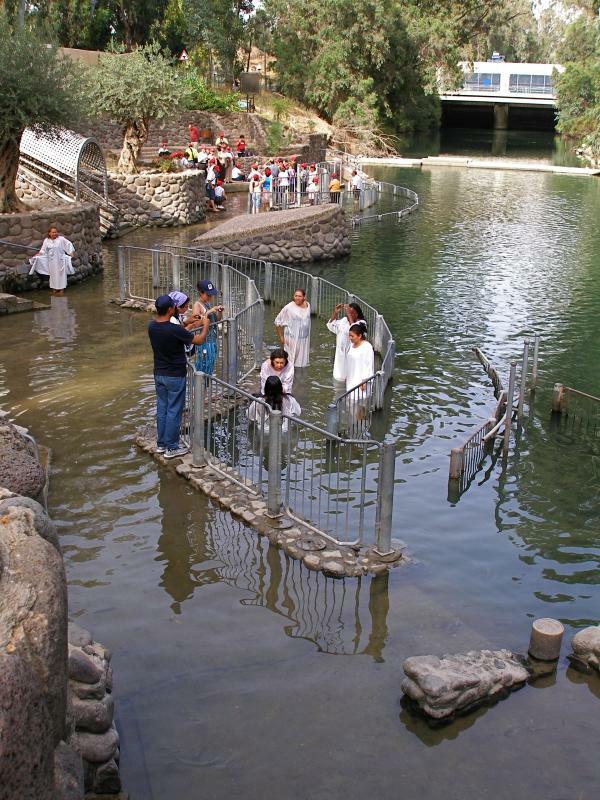 It overlooks a huge boulder enclosed in a retaining wall of stones — apparently identifying the site as the place of the miracle. 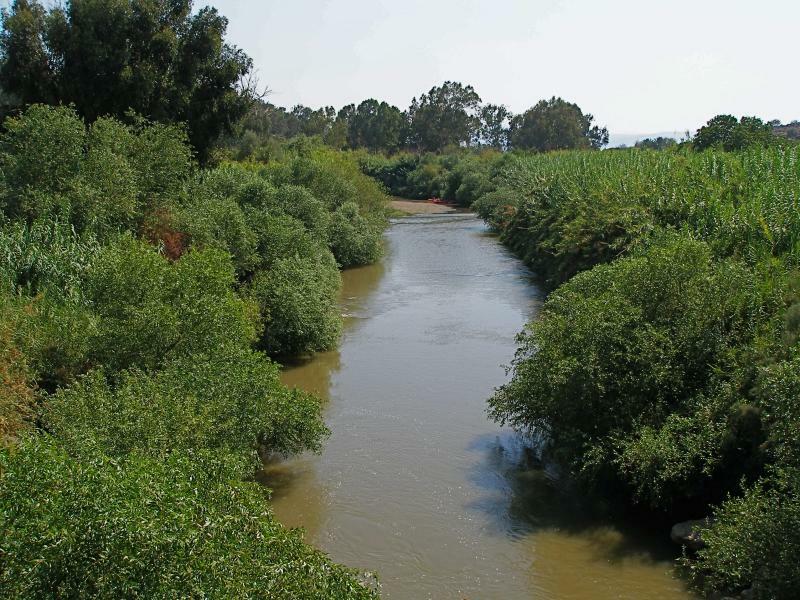 Kursi is 5 kilometres north of Ein Gev, near the junction where route 789 leaves the lakeside road (route 92) to mount the Golan Heights. 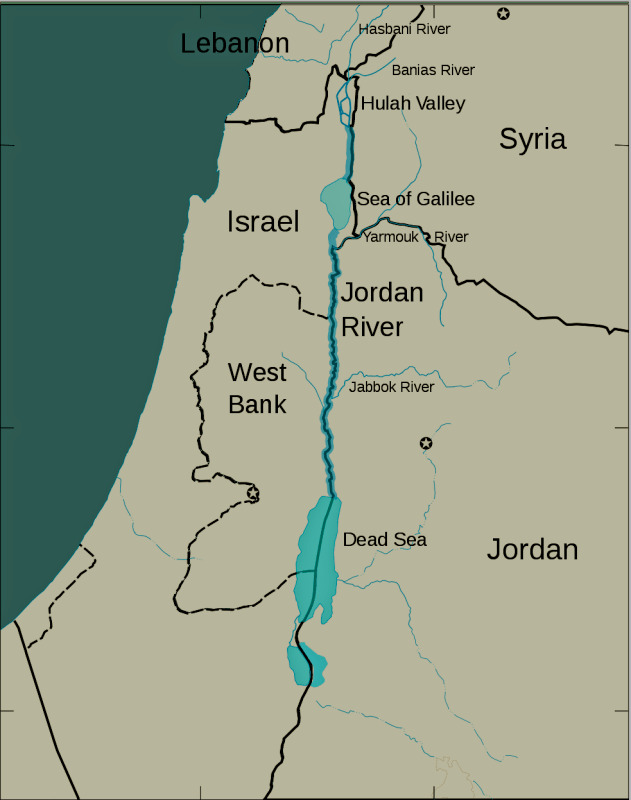 Its name, meaning “chair” in Semitic languages, probably refers to the shape of the broad valley behind it. 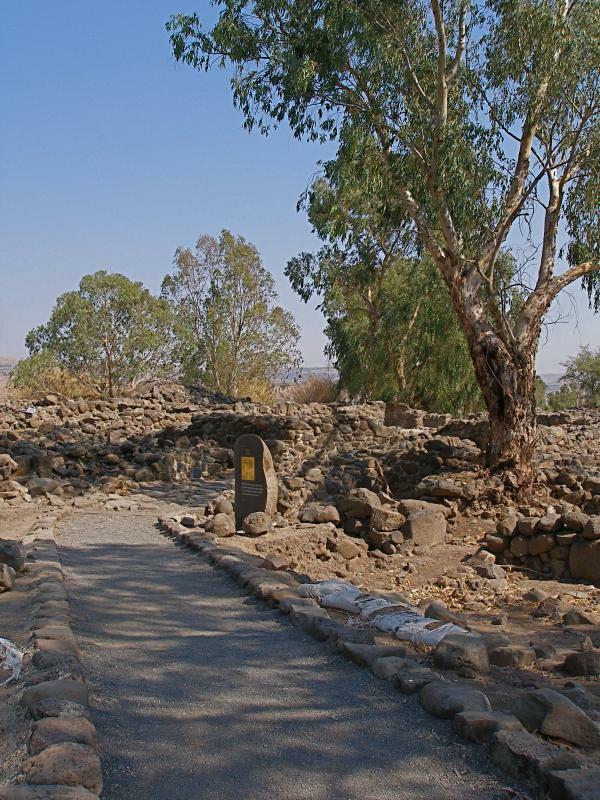 Different Gospel manuscripts offer conflicting names for the area in which the miracle took place — the country of the Gadarenes, Gerasenes, or Gergesenes. What is certain is that the location was in gentile territory. Because Jewish dietary laws forbid the eating of pork, no Jew would have been raising pigs. 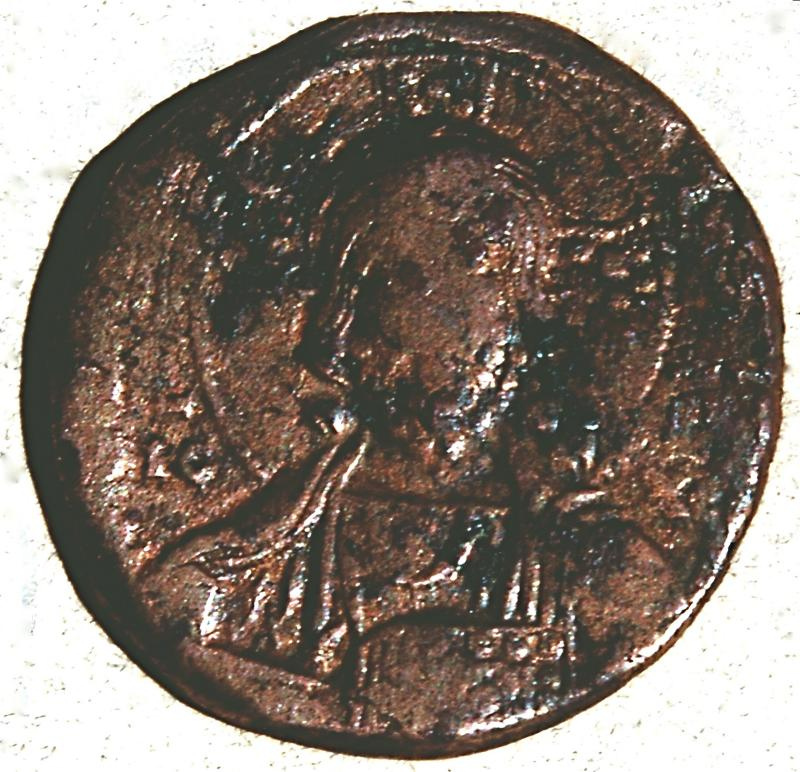 The identification of Kursi with the place of the miracle was known to early Christian writers and pilgrims — among them St Sabas, founder of Mar Saba monastery, who prayed at the site in 491. 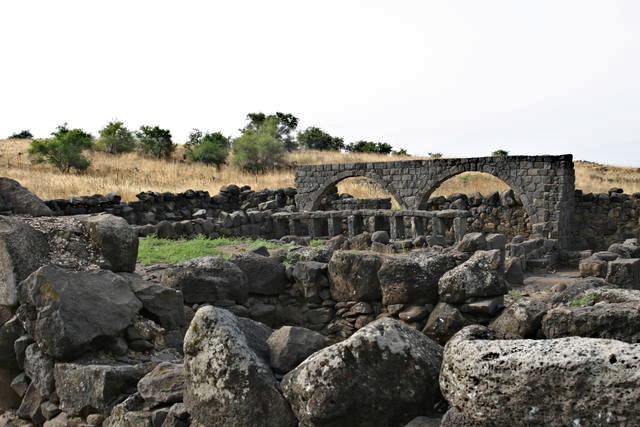 Kursi lay unknown for many centuries until pieces of Byzantine pottery were noticed in the trail of a bulldozer constructing a new road to the Golan Heights in 1970. 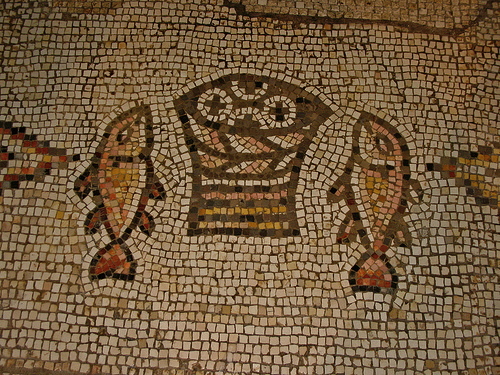 As well as the monastery complex, excavators found an ancient fishing harbour — one of at least 16 around the Sea of Galilee — with a breakwater and a pool where live fish were kept to await sale. 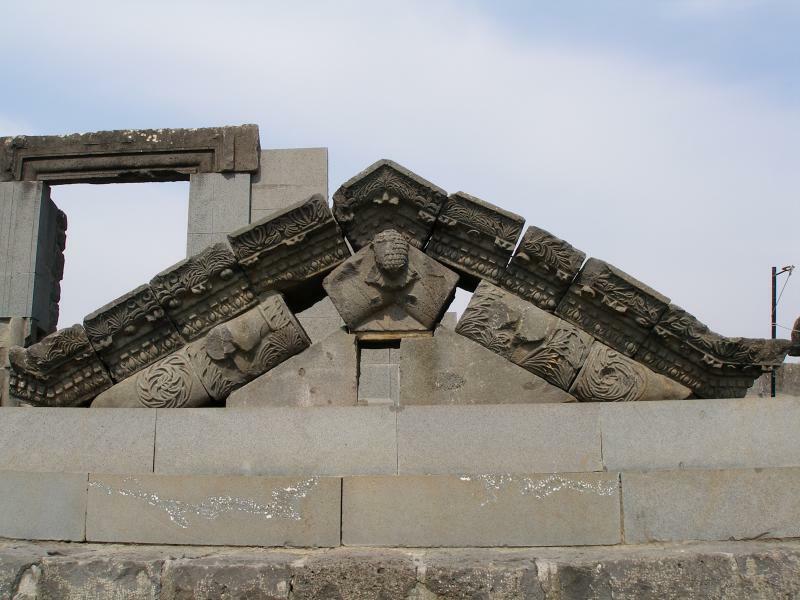 Kursi’s extensive monastery, built in the 5th century, covered 1.8 hectares. Around it stood a defensive stone wall with a watchtower. At its heart was a large church, with a spacious courtyard in front of it. 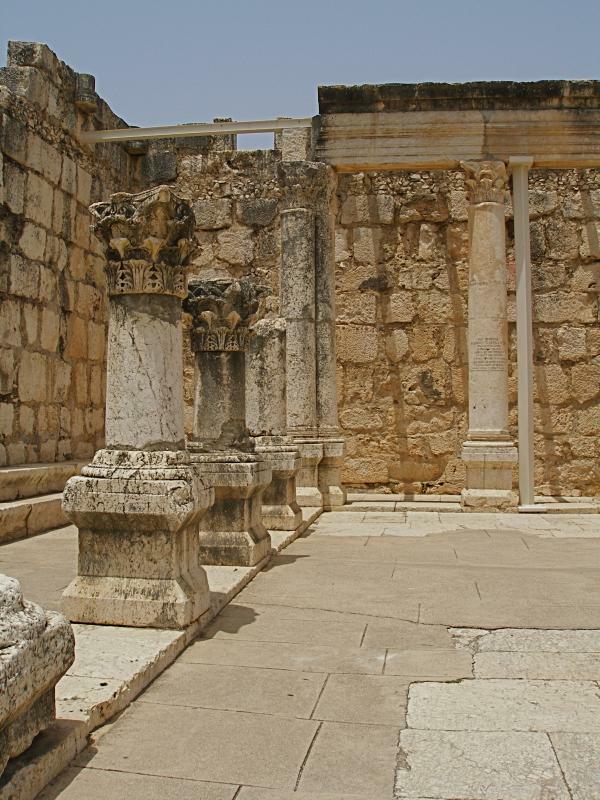 The church was divided by two rows of stone columns into a nave and two side aisles. Under a chapel in the right-hand aisle, skeletons of 30 monks were found buried in a crypt. 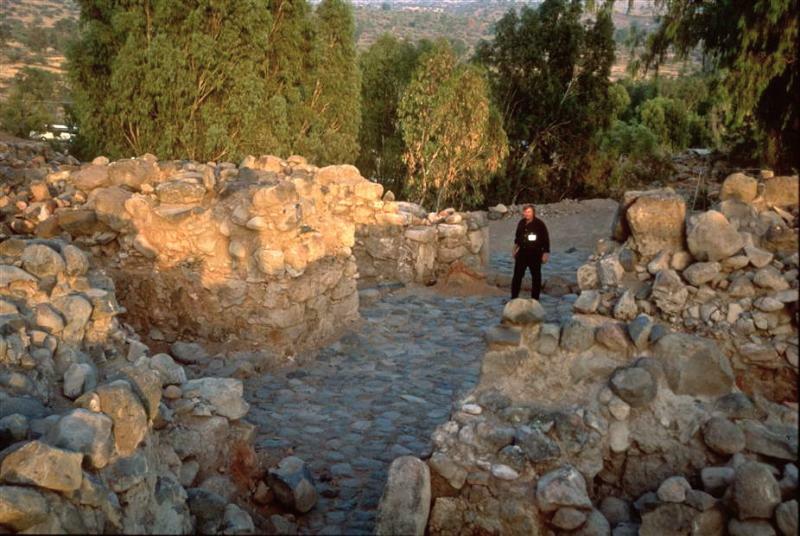 A large oil press was found in a side room in the left-hand aisle, suggesting that production of olive oil would have been a major source of income for the monastery. As well as living quarters for the monks, a guesthouse and bath complex for pilgrims have been uncovered. 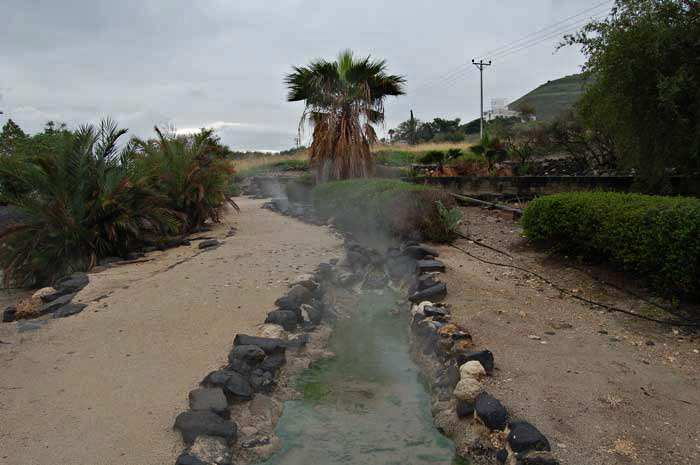 A paved road led from the monastery to the harbour where pilgrims arrived. 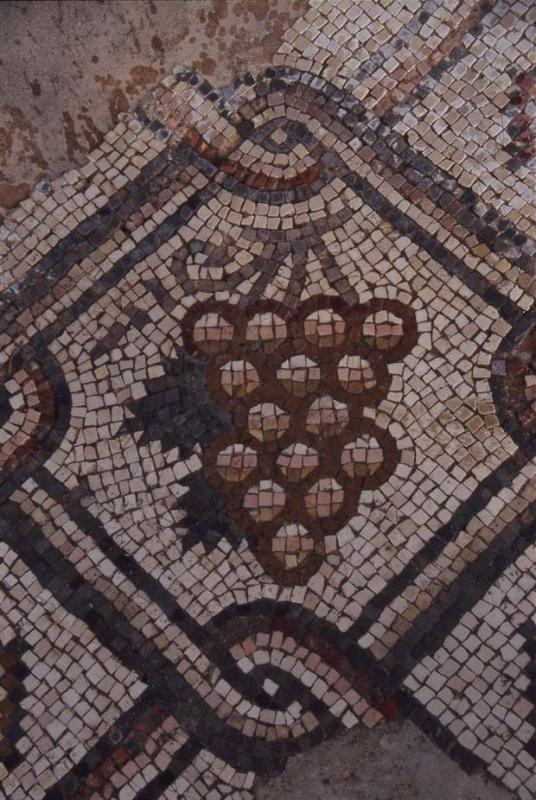 The floor of the church was paved with mosaics depicting animal and plant life: Roosters, geese, doves, cormorants, fish, grapes, figs, pomegranates, watermelon and bananas. 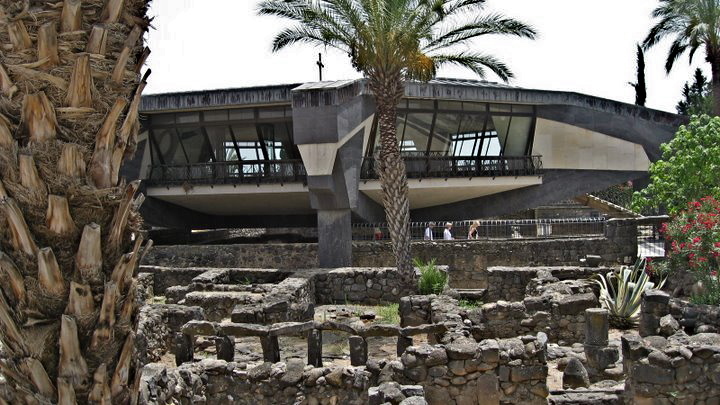 When the monastery was abandoned in the early 8th century — after being damaged by fire and earthquake, and invaded by Persians and Muslims — it was used by local Arabs to live in and house their animals. At that time all of the animal mosaics were obliterated to comply with the Islamic prohibition against human or animal representations. 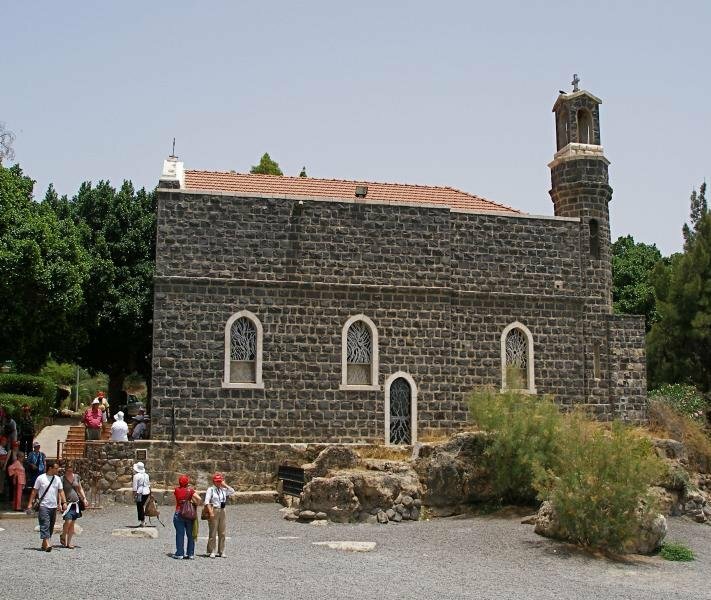 The chapel on the hill behind the monastery was probably built before the monastery, since its mosaic floor includes crosses. 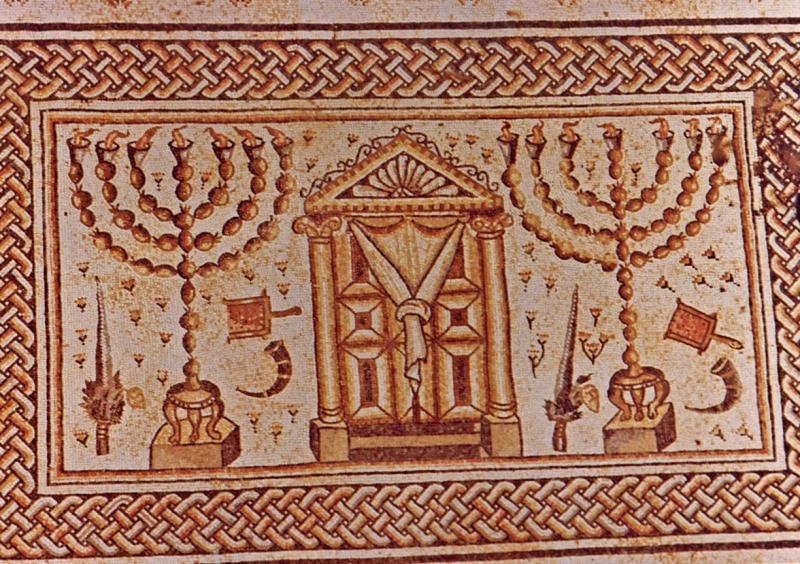 From the year 427, crosses were prohibited on church floors, by order of Christian emperor Theodosius II. 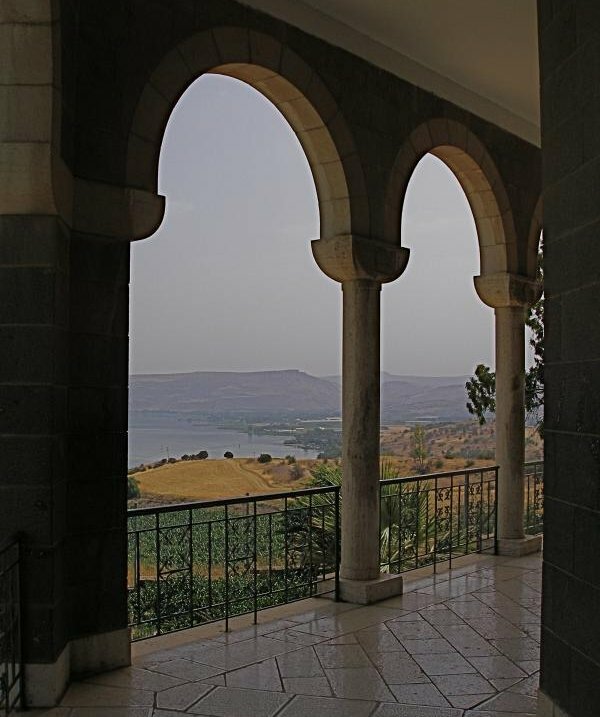 A stone bench in the chapel provided a view of the boulder that apparently marks the site of the miracle — and, beyond it, the Sea of Galilee. 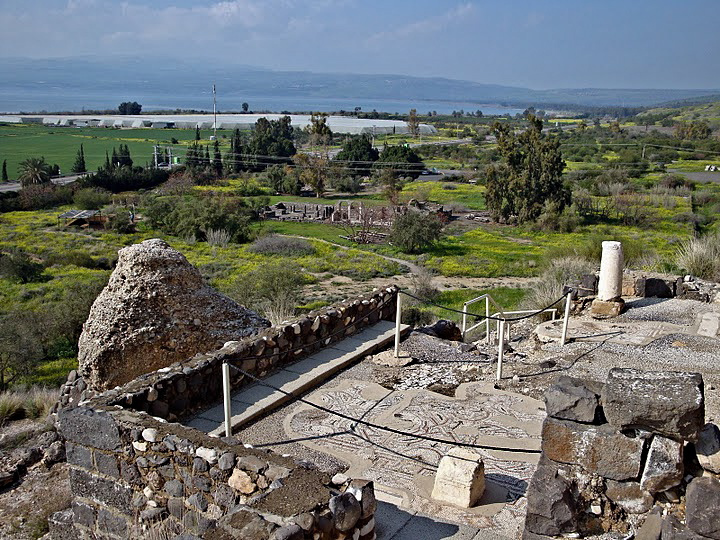 Five kilometres south, on the hill directly behind the kibbutz at Ein Gev, stood the ancient city of Hippos (in Greek) or Susita (in Aramaic), both names meaning “horse”. It would have been to this city that the swineherds ran to tell of the fate of their pigs. 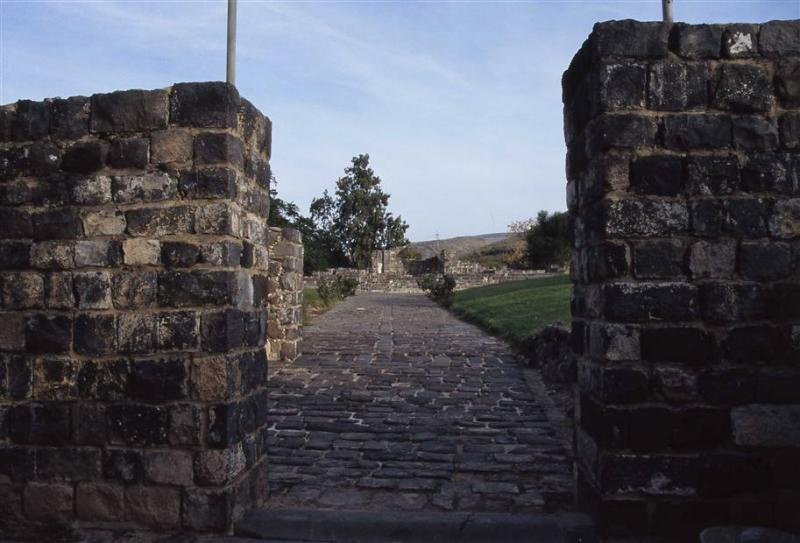 And it would have been the residents of this city who begged Jesus to leave their neighbourhood (Matthew 8:34). Hippos may also have been the hilltop city Jesus referred to when he said, “A city built on a hill cannot be hid” (Matthew 5:14). 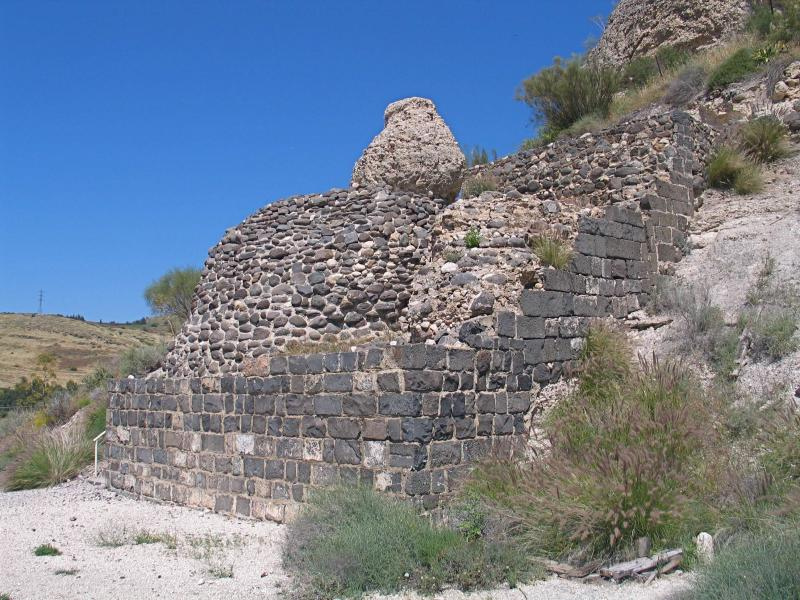 The remains of a Byzantine cathedral and four other churches have been found at Hippos, and a bishop from Hippos is recorded as attending the Church councils of Nicea and Constantinople in the 4th century. Open: Apr–Sep 8am–5pm; Oct–Mar 8am–4pm; Fridays and eves of holidays, 8am-4pm. Last entry to site one hour before closing time. 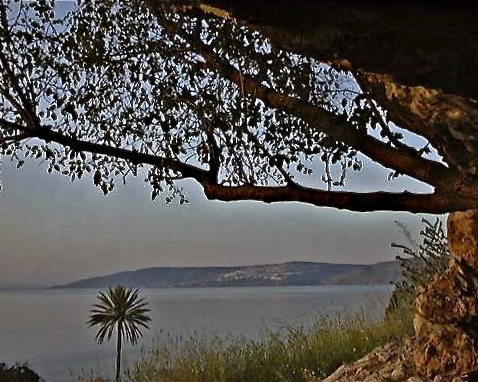 The Sea of Galilee yielded an unexpected catch in 1986 — the hull of a fishing boat old enough to have been on the water in the time of Jesus and his disciples. 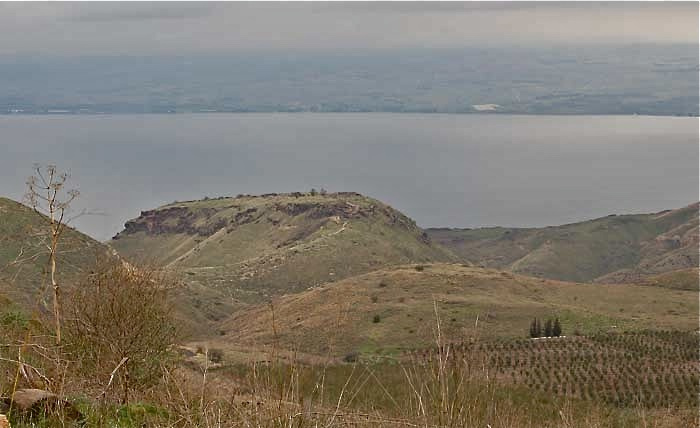 The remains of the so-called Jesus Boat were found in the muddy lakebed (the Sea of Galilee is actually a freshwater inland lake) during a time of severe drought. The remains were 8.3 metres (27 feet) long, 2.3 metres (7.5 feet) wide and 1.3 metres (4.3 feet) high. This size would have enabled it to carry up to 15 people. Extracting it safely presented a huge challenge to excavators. Conservation of its waterlogged timbers then took 11 years. 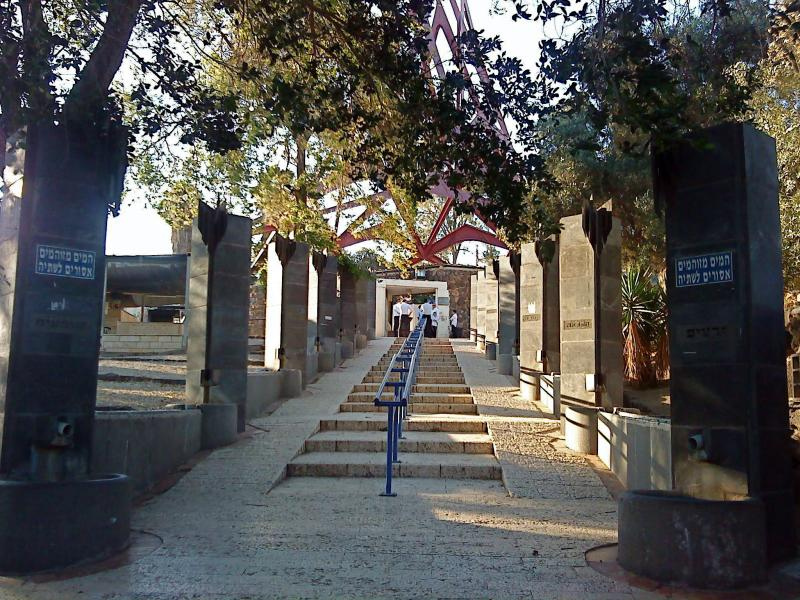 In 2000 the vessel — officially known as “The Ancient Galilee Boat” — went on permanent display in the Yigal Allon Museum at Kibbutz Ginosar, near where it was discovered. 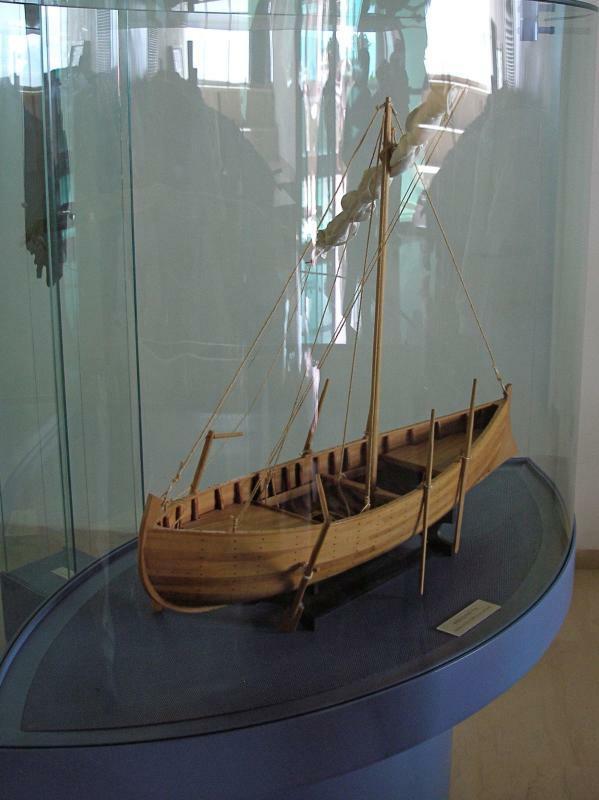 Boats such as this are mentioned more than 50 times in the Gospel accounts of Jesus’ ministry in Galilee, but there is no evidence to link this particular boat to Jesus or his disciples. 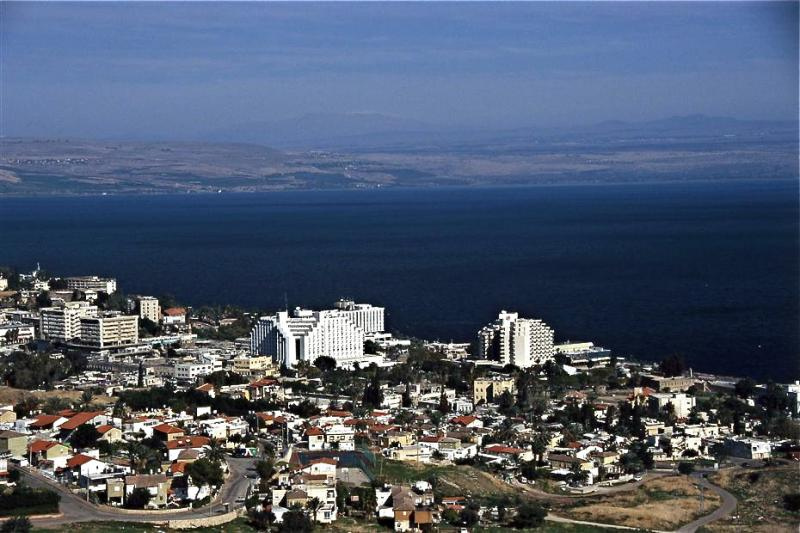 However, radio carbon dating has established that the Jesus Boat began life as a fishing vessel between 120 BC and AD 40, a period that could encompass the time that Jesus spent on the Sea of Galilee. 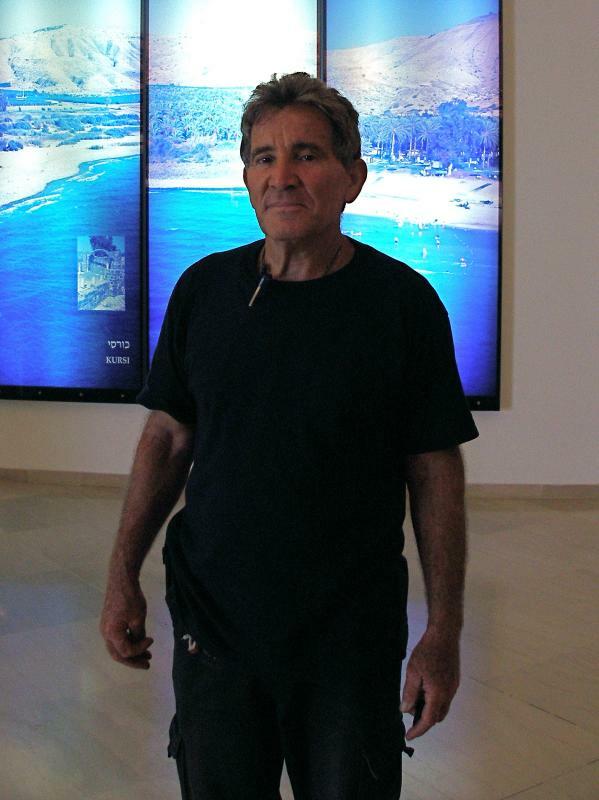 Two fishermen brothers, Moshe and Yuval Lufan, both keen amateur archaeologists, stumbled across the oval outline of the buried boat. 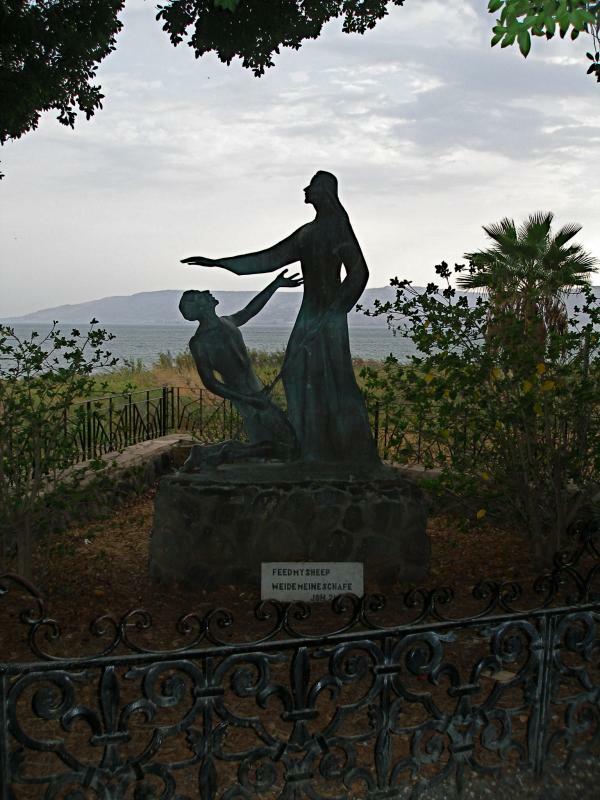 It was on the north-west shore of the Sea of Galilee, about 1.5km north of Migdal, the home of Mary Magdalene. 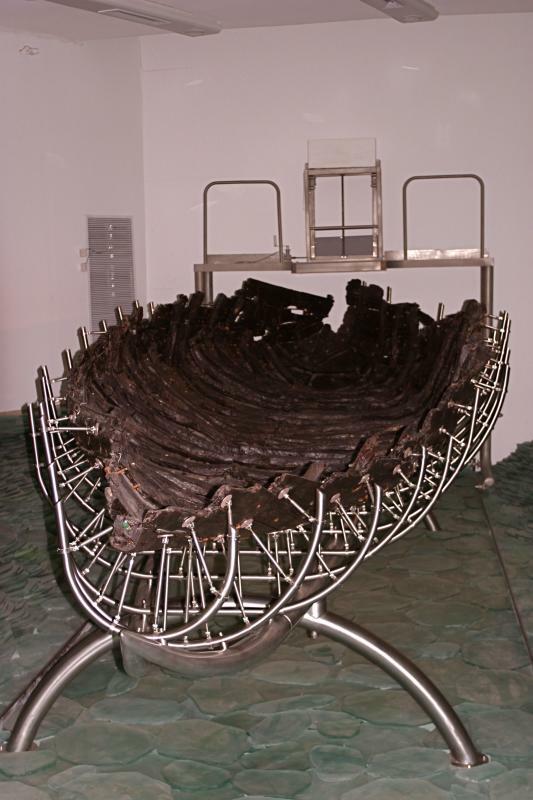 The method of construction identified it as typical of ancient boats in the Mediterranean region. The planks of the hull were edge-joined with mortise-and-tenon joints held in place with wooden pegs. The Jesus Boat had a rounded stern and a fine bow. Both the fore and aft sections were probably decked in, although the preserved remains did not reach this height. Besides cedar planking and oak frames, five other woods were used: Aleppo pine, sidar, hawthorn, willow and redbud. Evidence of repeated repairs showed the boat had been used for several decades, perhaps nearly a century. When its fishermen owners thought it was beyond repair, they removed all useful wooden parts, including the mast, stempost and sternpost — just as components of an old car might be removed today for spare parts. Then they pushed it out into the lake, where it sank in the silt. Media hype following the discovery forced archaeologists to attempt an immediate excavation. 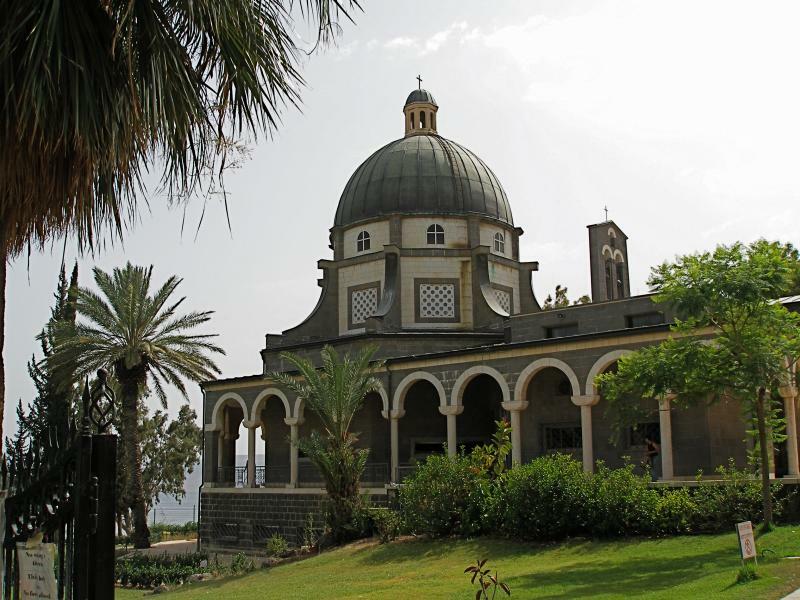 While the Ministry of Tourism was promoting the “Jesus connection” in the hope of attracting pilgrims, ultra-Orthodox Jews in nearby Tiberias were demonstrating against the prospect of a boost to Christian missionary endeavours. The waterlogged timbers had the consistency of wet cardboard. Because evaporation would cause them to collapse, the boat had to be sprayed with water day and night and shaded from direct sunlight. 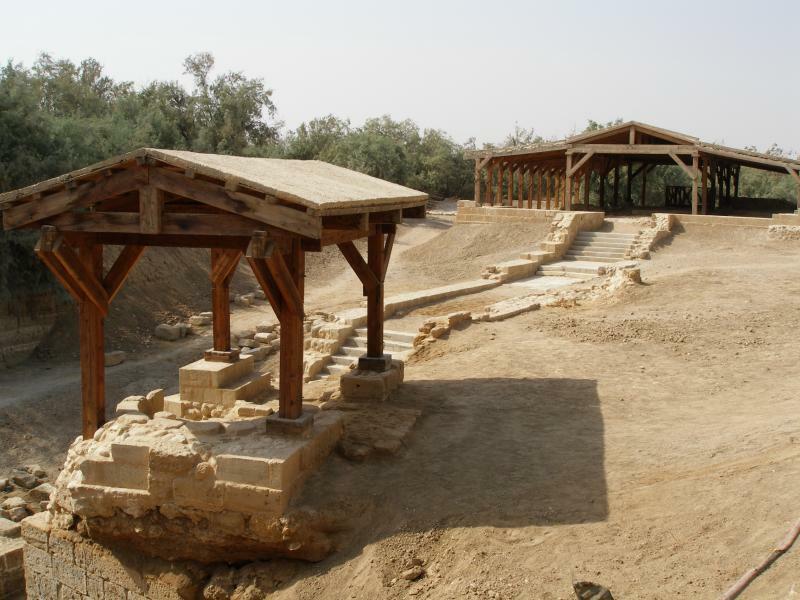 Then, working around the clock for 11 days, excavators and volunteers released the Jesus Boat from its muddy surroundings and encased it in a polyurethane foam “straitjacket” to hold it together. In Shelley Wachsmann’s words, the boat looked “somewhat like an overgrown, melted marshmellow” when it was floated to the shore and lifted by crane into a conservation pool. The 11-year conservation process included replacing the water in the wood cells with a synthetic wax that penetrated the cellular cavities of the deteriorated timber.